This week, the Arab American Institute held its 20th Khalil Gibran “Spirit of Humanity” Awards Gala. This annual event provides an opportunity for Arab Americans to recognize organizations, leaders and activists from around the world for their service to humanity. During the past two decades, the Institute has honored such illustrious figures as: Muhammad Ali, Lech Walesa, the leader of Solidarity Movement and former Prime Minister of Poland, Queen Noor al Hussein, Salma Hayek, and former President of Ireland and UN High Commissioner for Human Rights, Mary Robinson. Also honored in past years were institutions like Amnesty International, St. Jude’s Children’s Research Hospital, ANERA, and Save the Children. These individuals and organizations have been recognized not only for the work they have done, but also because their example has inspired us to emulate their efforts. The light they have shown is like a beacon in a dark night reminding us that there is no higher calling than to serve those who are vulnerable and in need. This year’s Gibran award recipients are exemplary. WCK has operated in eight countries opening kitchens to feed those whose communities and homes have been destroyed. After hurricane Maria devastated Puerto Rico in 2017, Andres personally led the effort to establish 25 kitchens throughout the island that provided millions of meals to those without power or access to food. By the time they were fully operational, they were serving 150,000 meals each day. In the end, the efforts of Andres’ WCK fed more people than the programs set up by the U.S. government or the Red Cross. For the last century, the American Civil Liberties Union (ACLU) has been the United States’ preeminent champion for civil liberties. They have protected freedom of speech and fought to protect vulnerable communities whose rights were being threatened by government repression. The ACLU was one of the only organizations with the courage to fight the internment of Japanese during World War II and in the decades following the war, they provided leadership in opposing segregationist laws that had denied African Americans the right to vote and the guarantee of equal treatment under the law. More recently, the ACLU has defended the rights of Arabs and Muslims facing profiling, unlawful government surveillance, restrictions on free speech, and efforts to limit their religious freedoms. It was the ACLU that successfully overturned some state laws that have attempted to make support for BDS illegal. And today, they are a leading force challenging the Trump Administration’s Refugee and Muslim Bans. Ireland’s Senator Frances Black is a trailblazer and role model committed to protecting the vulnerable and challenging government policies when they fall short. She is a renowned and award-winning Irish singer whose life-trajectory has led her to public service wherever she has seen people in need. Before running for elective office, Black founded The RISE Foundation in 2009 to provide support and services for those she refers to as the “silent victims” of drug and alcohol addiction. As she once noted, there are rehab programs for the addicts, but until RISE was formed the addict’s family members were overlooked and left to suffer in the shadows. As a Senator, she has demonstrated her expansive vision, becoming a leading advocate for migrants and the homeless. 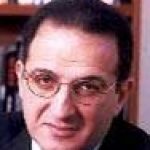 Senator Black is also the chair of the Irish Senate’s Palestine Working Group, which is leading the effort to have Ireland recognize Palestinian statehood and to be more vigorous in opposing Israel’s occupation and settlement policies. In honoring these champions, the Institute is holding up values and behaviors that represent the best of our humanity, values espoused by the great Syrian/Lebanese American poet, Gibran Khalil Gibran. Almost one century ago, Gibran often wrote about the importance of service to those in need, calling it the highest calling in life. “Service brings joy,” he said. 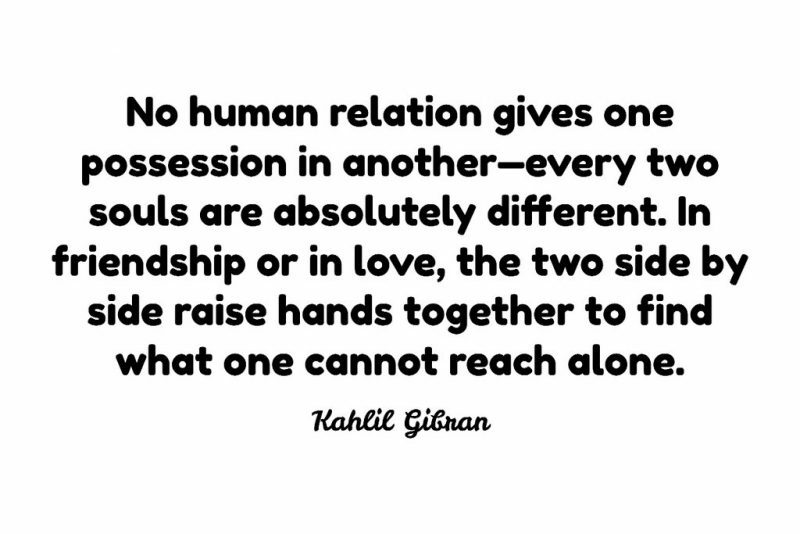 Like much of what Gibran wrote back then, his words apply to every place and age. 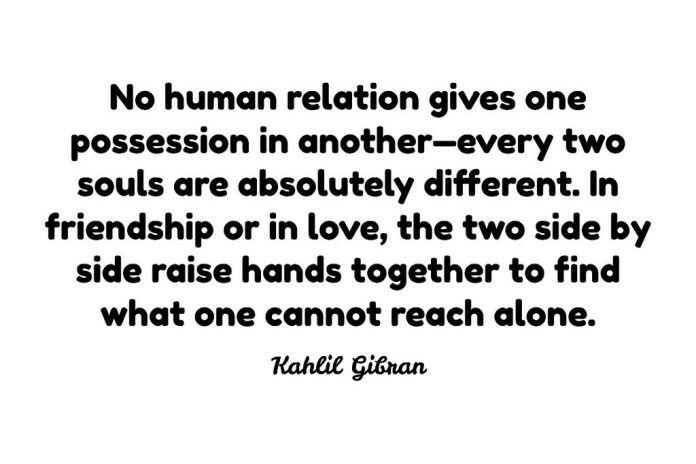 The Khalil Gibran Gala speaks to his vision, calling on us to embrace a vision of humanity that celebrates—not the acquisition of power, position, and wealth—but rather a life lived in the service of others. There are many challenges facing America and our world today as many lives are shattered by war, an erosion of democracy, widespread violations of human rights, growing disparities in income and opportunity, homelessness, and addiction. For some, the accumulated impact of all this suffering and tragedy has resulted in a loss of hope and a sense of powerlessness. What is so remarkable about the evening in which we celebrate the “Spirit of Humanity” by awarding those who have risen above despair and acted to serve those who are vulnerable and in need, is that the event’s attendees leave with their spirits uplifted. Gibran was right: Service is a joy. Doing for others not only helps those who are served, it can also cure our own despair by restoring our faith in each other and in our capacity to make a change.